Parkinson`s disease has been associated with heavy occupational exposure to carbon disulfide, and this solvent, as well as other organic solvents, may cause neurotoxic effects. Therefore, the hypothesis was raised that organic solvents in general may be associated with Parkinson`s disease. A case-referent study design was applied, and some other suspected exposures were studied as well. The diagnosis registers of two Swedish hospitals were used as the source of subjects. Male in-patients with Parkinson`s disease (the cases) or subarachnoid hemorrhage (referents), with symptom appearance between 35-69 a of age and residence in the vicinity of the hospitals, were included in the study.  Occupational exposure to the chemicals under study were determined from questionnaire answers of 91 cases and 75 referents. No differences in exposure frequency to organic solvents in general were observed, but three cases had been exposed to carbon disulfide compared to none of the referents. Six cases, but only two referents, had been exposed to mercury, and further exploration of a possible association between exposure to mercury and Parkinson`s disease is recommended. The outcome of the study does not support the hypothesis that occupational exposure to organic solvents in general increases the risk of Parkinson`s disease, but the confidence intervals of the odds ratios do not rule out such possibilities.